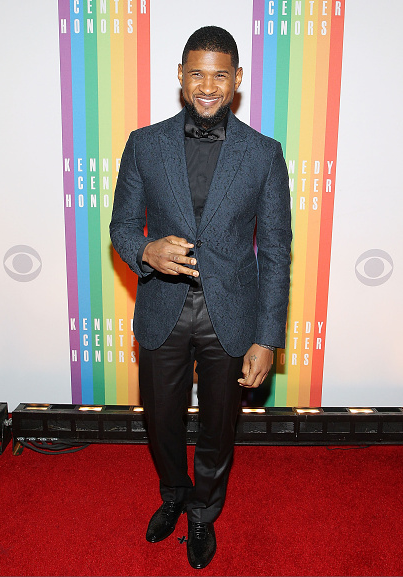 Congratulations are in order for Usher and his bride-to-be. Word on the street is that Mr. “Good Kisser” and his lady/manager, Grace Miguel are ready to tie the knot. While Usher hasn’t made an official announcement, Grace has been spotted with a mega rock on her left hand. He’s also been gushing about how amazing she is. Want to ring in 2015 from your living room but feel like you’re at NYC’s biggest New Year’s Eve party? The internet makes that possible. The webcast goes live at 11 AM and the party starts at 6 PM as we count down to the start of a new year. Happy New Year from Urban Grace! New Year’s Eve is upon us and we know that you’re trying to look good for all the parties, so we found some of our favorite brown girl YouTubers with gorgeous looks sure to impress whether your looking to attract that first kiss of the new year or if you’re just trying to party with your besties. Will you be trying out any of these looks? Let us know in the comments section! 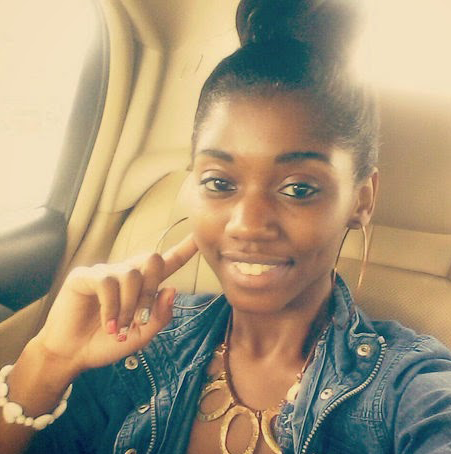 The death of a young Alabama woman is raising some eyebrows and sparking controversy over who is responsible. City officials are mum on details, but the case has attracted the attention of the NAACP. Sheneque Proctor, 18, was at the Bessemer Hotel with friends on November 1, where she was arrested for disorderly conduct and resisting arrest. The next day, she was found dead in her cell. Tracy Rodda, Proctor’s aunt reported that her niece had asthma issues, and that officers had been rough with her. She called her mother for the $235 of bail money, but was unable to receive help. After receiving news of her death, Proctor’s mother, Scherita Proctor, Rodda and other family members , along with NAACP Alabama State Conference president, Brian Simelton went to collect her things and hopefully, get more information. However, upon arriving, they were greeting with nothing. No one was talking. The mayor was unavailable. Sheneque’s mother has decided that she’d rather wait for a death certificate over speculating on the death of her daughter, who left behind a 5-month-old son. The State Bureau of Investigation is looking into the death. The fact is that no one deserves to be denied medical attention, even while in police custody. Why, if Sheneque was complaining of breathing problems, was she left unattended? There has to be a reason that no one was available to assist the family or even attempt to answer their questions. Sign the petition and help secure justice for this family. Alicia made her holiday announcement on Instagram Sunday evening. Baby boy, Genisis Ali Reed joined big brother, Egypt on December 27 at 1:52 AM. The couple announced their pregnancy in July with a sweet post commemorating their 4th wedding anniversary. A Bay Area high school has decided that t-shirts are a safety concern. 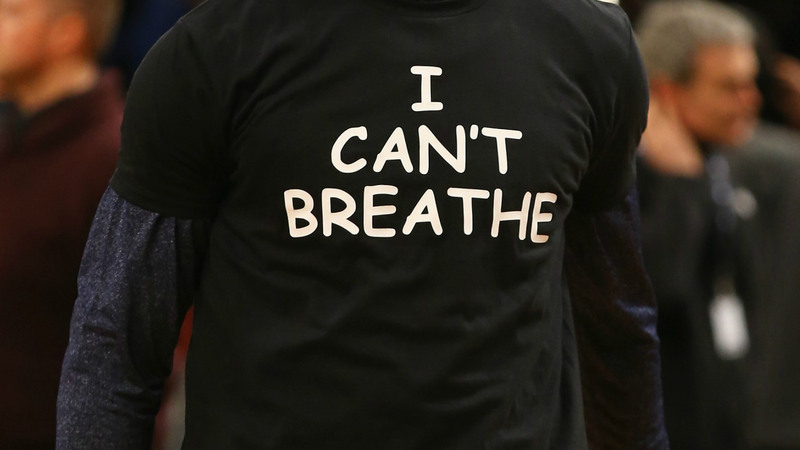 Not all t-shirts, just those in support of Eric Garner. If they didn’t comply, they would be disinvited from the competition. According to TheGrio, the teams started wearing the t-shirts during warm-ups before games with administrators blind to what the shirts stood for. Girls coach, Caedyn Feehan thought it was an inside joke. Nope. Not a joke, at all. The boys team was reinstated after all but one student agreed to the conditions while the girls didn’t get enough agreements for a full team. One player’s father has taken the issue to the American Civil Liberties Union, calling it a constitutional issue of freedom of speech. Kudos to these kids for taking a stand. Christmas may have passed, but the holidays are still in full effect. As such, the memories of the Christmas card remain for a lifetime. So we rounded up some of our favorites. Check them out. Above, Lil Kim took the glam route in gold and black. Gabrielle Union and hubby D. Wade go all Susie Homemaker for their family card this year. Teyana Taylor and Iman Shumpert get awkward in their ‘Step Brothers”-inspired card. Grant Hill, wife Tamia and their daughters Lael and Myla are offering the light of love. Toya Wright and her crew are a smiling vision of Christmas spirit. Gotta love when Outkast keeps it real simple in some santa hats.